Kicaster is an unincorporated community in northwestern Wilson County, Texas, United States. It lies along Farm to Market Road 3432 twelve miles northwest of Floresville. 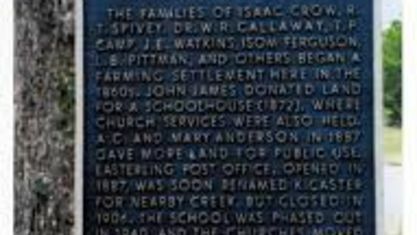 The community was founded near the Kicaster Creek soon after the Civil War. A one-room school was in operation by 1896 with an enrollment of forty-nine students. 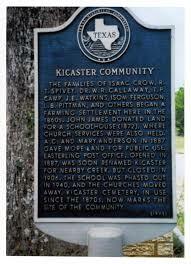 By the 1930s Kicaster had a school a church, a graveyard and a number of houses. Several stores were located in the small community. After World War II the school was closed, and by the early 1980s only a cemetery, a small store called Kicaster Corner and a few scattered dwellings remained. Get to know Kicaster better with our featured images and videos.